They Don’t Care About Us’ is the fourth single from the Michael Jackson’s album, History, which was released in 1995. There, the late music legend spoke about police brutality and human rights abuses, with a chorus that goes thus – ‘All I want to say is that they don’t really care about us’. Jackson might have been speaking about another place with peculiar issues, incidentally; the song’s chorus correlates with the way many Nigerians view their leaders and some of the recent actions of federal and state legislators have clearly cemented the belief. For instance, when the Edo State House of Assembly recently approved the construction of houses for former governors and their deputies, which should not be more than N200m and N100m respectively in any location of their choice, all hell broke loose. The report was met with wide condemnations from the public, many of whom questioned such a move at a time when the country is in a recession and arguably in its worst economic state. 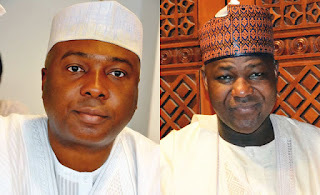 Even a report on the website of The PUNCH titled, ‘Edo lawmakers approve N200m houses for ex-governors’, generated comments that were largely abusive and critical of the state’s lawmakers. A reader identified as ‘Trust Only God’ described the report as the “worst news in 2016”, and the lawmakers as “lawbreakers and criminals”. It should be noted that states like Akwa Ibom and Lagos also have similar attractive benefits for their past governors and deputy governors. Meanwhile, according to a lawyer and political analyst, Mr. Tunde Esan, one of Nigeria’s biggest problems is that majority of the people see positions of power as opportunities to enrich themselves and their families. He said, “The big problem is the way we see governance in this country at any level, so there is no connection between our leaders and the people. “People see public positions as opportunities to enrich themselves and get their generations and the ones unborn out of poverty. So when people aspire to get to positions of authority, it is not about serving the people, it is all about what they can get in four or eight years. Also, when the House of Representatives recently started taking delivery of 360 cars worth N3.6bn, at a time the country is in a recession, some Nigerians described it as conclusive proof of their claims that Nigerian lawmakers, who are expected to represent their people, are far disconnected from their constituents and their realities. “While other countries try to make their private sectors attractive to create jobs for the youth, Nigeria continues to make its politics attractive. “An average Nigerian youth tells you he wants to be a politician, as if it is a profession. We have long debated on whether legislating should be done on a part-time basis or not and I will go with part-time. “It should not remain a full-time job for illiterates who don’t even understand the process of lawmaking,” he said. It was learnt that the Peugeot cars for the House of Representatives’ members would arrive in Abuja in batches till January 2017, when all 360 members of the House would have got one. Even the about 137 members that had been in the House before the Eighth Assembly would also get from the batches of cars, which are officially known as ‘committee’ vehicles. Before the delivery of the vehicles commenced, the House of Representatives had been embroiled in a lingering budget padding scandal, in which a former Chairman, Committee on Appropriation, Mr. Abdulmumin Jibrin, accused some principal officers of the House of padding the 2016 Budget by over N40bn. The legislators alleged to have been involved in the budget padding were the Speaker of the House, Yakubu Dogara; Deputy Speaker, Yusuf Lasun; Chief Whip, Alhassan Ado-Doguwa; and Minority Leader, Leo Ogor. In another allegation, Jibrin said 10 principal officers of the House of Representatives had ‘embezzled” over N10bn allocated as “running costs” between 2003 and 2016, depending on the time each of the accused lawmakers has spent in the House. Jibrin identified the officers as Dogara; Lasun; House Leader, Femi Gbajabiamila; Deputy Leader, Buba Jibril; Deputy Whip, Pally Iriase; Ogor; Deputy Minority Leader, Chukwuka Onyeama; Ado-Doguwa; Minority Whip, Yakubu Barde; and Deputy Minority Whip, Binta Bello-Maigeri. However, Jibrin was later suspended by the House for 180 legislative days for allegedly breaching the lower chamber’s practices and precedents. Earlier in the year, at the onset of Nigeria’s economic crisis, the Senate also began taking delivery of 108 Toyota Land Cruiser SUVs that were said to have cost N35.1m each. But a statement by the President, Nigeria Labour Congress, Mr. Ayuba Wabba, had called on the Senate to return all the vehicles to the supplier or face the anger of Nigerians. However, the threat was ignored. Wabba had described the decision of the Senate to buy the luxury vehicles as proof that the lawmakers were greedy and insensitive to the economic plight of Nigerians, while alleging that their action was also criminal. Wabba said the price of each of the vehicles was inflated by 100 per cent from the normal price of N17m to N35.1m and the senators had taken loans in August 2015 for the same purpose. He had also questioned why the money spent on the vehicles could not be put to use in the senators’ various constituencies, while condemning their choice of luxury lives amid severe economic challenges facing the masses in the country. “It is the height of irresponsibility and the highest level of noncommittal to the welfare of the people who voted them to power for our lawmakers to be spending fortunes on vehicles while the people are wallowing in poverty. “It shows that they are disconnected and detached from the masses. And in Edo, to say that former governors will be getting N200m houses and their deputies will be getting N100m houses is also the height of irresponsibility. “It is funny that all these are coming at a time when the country is living on borrowing and the President is even proposing to borrow $29.9bn. According to Esan, until Nigerians realise that they have the power to recall their lawmakers and even get their governors and the President impeached, the situation will remain the same. He said, “People should realise that if their lawmakers are not doing their bidding, they can be recalled. If your governor is not performing well, you can talk to your lawmakers to impeach him. Ezeibe’s suggestion is that academics and civil servants should be allowed to contest for any political position without having to resign their appointments in their places of work, saying that would encourage more people with substance to go into politics. He said, “First, I will suggest that lawmaking should be made a part-time job. Then, civil servants, professors and other academics should be allowed to contest for political offices without having to resign their appointments. But perhaps, the most scathing attack yet on the country’s legislature came from a former President of Nigeria, Chief Olusegun Obasanjo, during the week, when he described the National Assembly as a den of corruption. He said, “Once you are a member, you are co-opted and your mouth is stuffed with rottenness and corruption that you cannot opt out as you go home with not less than N15m a month for a senator and N10m a month for a member of the House of Representatives. The National Assembly is a den of corruption by a gang of unarmed robbers. Obasanjo, who spoke during a lecture he delivered at the First Akintola Williams Annual Lecture in Lagos titled, “Nigeria yesterday, today and tomorrow: Governance and accountability,” also accused the legislators of using funds earmarked for constituency projects to enrich themselves. The ex-President said, “These constituency projects are spread over the budget for members of the National Assembly for which they are the initiators and the contractors directly or by proxy and money would be fully drawn with the project only partially executed or not executed at all. The National Assembly cabal of today is worse than any cabal that anybody may find anywhere in our national governance system at any time. He, therefore, urged Buhari to investigate the so-called constituency projects of the past and the present sets of federal lawmakers and bring culprits to book.